If becoming a professional concept artist is your life’s dream, or if you’re just starting to look into career options, you’ve probably considered art school. You probably have a lot of questions too. You might be wondering: what is concept art and how is it different from other types of creative art or entertainment art? What skills does a concept artist need? Do you need to go to art school to make it in the industry? And if you really prefer schooling, what’s the best art school for you? We get it. The concept art industry is competitive and artists need to be at the top of their game to stand out. Formal training and academic credentials can definitely help a lot. So let’s try answering these questions and examine some of the top concept art schools out there to see which path might fit best for you and your career. Do You Need A Degree To Get Into Concept Art? Most game and film studios care more about your experience and your portfolio. However, a lot of working artists in the field have a degree in a relevant field like fine arts, illustration, graphic design, or film. Some studios will specifically look for potential hires with degrees, and others won’t care. Many artists choose to pursue a degree or diploma program just to expand their options. And perhaps the biggest benefit of art school is the connections you make along the way. Who you know is a big factor in breaking into the industry. Still, you’ll need a killer portfolio and art school can definitely help with that. Why Go To School For Concept Art? Some concept artists are self-taught, but many find that it’s more efficient to learn from someone else who has already mastered the art. Additionally, many aspiring concept artists appreciate the structure and accountability that comes with the classroom. A good concept art program will give you a solid, well-rounded education in the skills you’ll need as a concept artist and will help you build a strong portfolio. You’ll encounter opportunities you might not otherwise. Learning directly from the best will put you in contact with some of the top artists in the industry, which will give you an edge against the competition. Many studios also specifically look for graduates from schools with track records of turning out strong artists. Examples of these schools are listed below. Whether you decide to attend school for formal education in concept art is entirely up to you. It’s definitely an investment, and only you can decide if that investment is right for you. 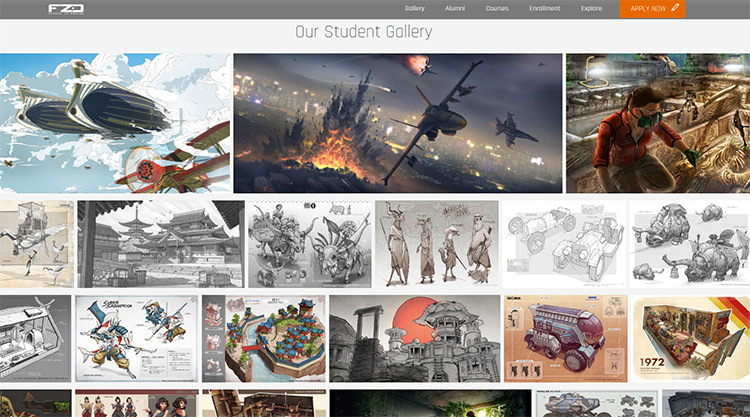 We’ve identified some of the top schools for concept art in the world. They vary from accredited universities with traditional undergrad and graduate degrees to smaller private schools that specialize in concept art and offer shorter, concentrated classes or even à la carte courses. Hold up, what does it mean for a school to be accredited? Accreditation means that a school has been evaluated by a review board and is deemed to be a high quality education experience. Accreditation means that your credits and degree will be recognized at other schools, should you decide to transfer to another college or university. Keep in mind that different schools have different graduation requirements, so some credits may not transfer even if you did go to an accredited school. This doesn’t mean that accredited schools are better than unaccredited ones, but it’s something to keep in mind if you’re concerned about credits transferring or if you plan to go after a graduate degree. Most game studios that care about traditional degrees will prefer that your degree come from an accredited university. But remember, the vast majority of studios do not care how you get good. They just want to hire someone who can do the job. Accreditation statuses and requirements change, so if you are concerned about your credits or degree being recognized by other schools makes sure to check with each school’s admissions office. Now let’s jump into the list! Note: Tuition prices are listed in local currency and USD. USD prices are based on exchange rates as of 2018. Just to give you an idea of how incredible FZD School of Design is, here’s a fun tidbit for you. According to FZD, 90% of their graduates are currently employed and working in entertainment design. 90%! That’s an insane number compared to most other higher education programs. This famous school specializes in concept art and their program is only a year long, so this is an excellent choice is you’re ready to go all-in on your concept art dreams. The year-long program is broken into 3 trimesters of 15 weeks each, with two weeks of break in between. The first term is all about the fundamentals and focuses on sketching, visual communication concepts, elements and principles of art & design, working with digital programs, and general studio time. You’ll get intensive training in vital skills like perspective, rendering different materials, value, light, etc. The second term steps things up with more challenging design projects, introducing limitations and goals similar to what you’d encounter working in a real studio. Learning to design amazing work within the constraints of a project is a crucial skill to develop. You’ll also sharpen your skills in visual communication and learn to curate your own visual library. Third term students narrow their focus and start building their professional portfolios. This is where artists really develop their style and skills in design presentation. The focus here is on professionalism, quality, and independence. Students learn how to handle big projects on their own and how to present their work during a job interview. Though this school is located in Singapore, many find it worth relocating because it produces such incredible, industry-ready artists that have an edge over the competition. Plus it’s only a one year program so it’s not a lengthy commitment. If you want to get a genuine perspective of what it’s like studying here check out this interview we published with alum Darius Kalinauskas. He shares every tidbit from his experience at FZD and offers an honest take on what it’s like attending as a new student. Entrance requirements here are strict. FZD requires a portfolio, an interview process, professional recommendation letters, a test, and applicants are required to be deemed mentally and physically well enough to attempt the program. It sounds scary, but it’s just because this is an intense art program that can only take so many students. That being said, this is not the school for casual concept artists who aren’t sure what they want. It is intense. Think boot camp for concept artists. No wonder so many students land jobs. Alumni currently work in companies such as Dreamworks and Arkane Studios, and were concept artists on projects like Ghost in the Shell, Call of Duty, Red Sparrow, Star Wars Battlefront, and many others. Equipment, Visa, and administrative fees not included. Accredited? FZD is registered with the Council of Private Education, but credits may or may not transfer to US schools. Make sure to check with any prospective US schools to be sure. Pasadena’s ArtCenter offers several different undergrad degrees centered on art and design. The best option for a would-be concept artists is their entertainment design program. The entertainment design program offers three tracks: Concept Design, Animation, and Game Design. All three of these programs cover digital art and concept design so any would be an excellent choice for aspiring concept artists, just depending on their career aspirations. For most concept artists the concept track is a solid choice. But it’s worth looking into the others if you want to learn 3D work or get into movies vs video games. Let’s take a closer look at each of these tracks. The concept track focuses on foundational art skills such as drawing and sculpting, illustration, industrial design, and 3D rendering. Students on this track take lots of drawing, painting, and sculpting courses as well as classes on designing subjects like characters, costumes, props, and vehicles. Business and art direction courses are included, and students finish off their degree with a senior project. Unlike the other tracks, the game design track covers programming which will be useful if you’re interested in the whole pipeline of game development. In addition to learning all aspects of game design and game building, students learn concept art specifically for games. 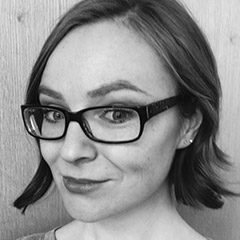 Courses in this track include art and drawing courses, but mostly focus on game design and development, storytelling, and audio/VFX stuff. Students finish the program with their own game project. 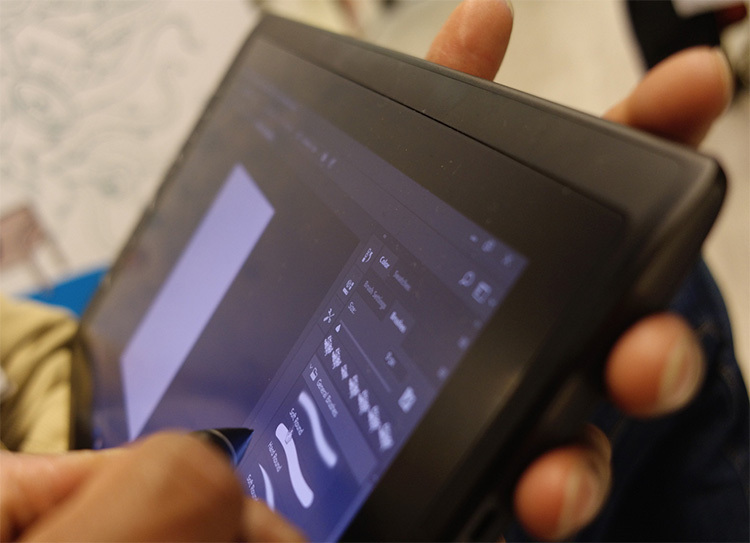 The animation track includes some drawing courses, but focuses more on 2D and 3D mechanics, storytelling, acting, and 3D modeling. Plus it covers a whole lot of animating too. All students finish their degree with a thesis project. Since this is an accredited four year school, all undergrads must also earn general education credits in areas such as English, math, science, humanities, and so on. ArtCenter offers some scholarships. They’re an accredited school so you can also fill out a FAFSA for financial aid. Program Length: Traditional four-year undergrad degrees. Program length varies depending on full time or part time enrollment. CDA’s curriculum puts heavy emphasis on drawing and the fundamentals of art. Courses include anatomical drawing, portrait drawing, animal drawing, perspective, lighting, landscape painting, vehicle design, creature design, and a whole lot more. You can actually find a really great list on their curriculum page or contact the school directly if you want to get more details on anything. Students can enroll in as few or as many courses as they like. Since this is a private school without accreditation, the courses are meant for skill building and portfolio development only. Concept Design Academy will help you develop a rock-solid portfolio and you’ll likely meet some great people along the way. There is no specific path to follow but it’s worth taking a look at their suggested curriculum tracks to get an idea of which courses would suit your goals. CDA has outlined a general concept art track, a character design track, an environmental design track, and a storyboard track. In many cases the entertainment industry cares more about your portfolio and experience than an accredited degree, and this school will definitely give you a killer portfolio. This is also a nice option if you already have a degree and want to build some new skills to further your education or make a career change. Tuition: Varies depending on which courses you take. Each ten week course ranges from $700-$1100, while shorter half-day workshops are usually less than $100. CDA has a tuition reimbursement program if you are part of the Animation Guild, Costume Designer’s Guild, or Art Director’s Guild. There’s also a multi-course discount. Rough estimated tuition to follow any of their pre-designed tracks would range between $10,000-$20,000 USD. Program Length: Average length ranges between 1-2 years. But it varies heavily based on your needs and level of attendance. Students enroll in courses based on a pick & choose system rather than participating in a set program, although CDA does offer suggestions for curriculum for certain focuses. Academy of Art University offers several programs in art and design, but the best choices for aspiring concept artists are their Illustration program and their Visual Development program. Both of these are offered on campus in San Francisco as well as online. Since these are accredited four year degrees they also include general-ed studies like language, science, and humanities. This is a very good choice if you want if you want a traditional bachelor’s degree with actual value to concept art work. Since this is an accredited school your credits and degree will transfer to other accredited schools if you ever want to switch or go to grad school. It’s also a good option if you’re at a beginner level and want a comprehensive start-to-finish program to bring your work up to a professional level. The illustration and visual development programs both focus on art foundations, tools and techniques, presentation ability, and creative skills on working within a client’s specifications. This college also works with students to develop a career plan and offers courses that teach the necessary skills to land work in the industry. In addition to creating high-quality portfolios, students in both programs develop their own signature style which can make them a more sought-after professional in the industry. Overall the education is superb and this is certainly one of the better accredited options much like ArtCenter. Tuition: Undergrad full-time per academic year: $23,757 (does not include housing). You can fill out a FAFSA like you would for any other accredited school to apply for grants, loans, and work study positions. The university also offers scholarships and grants of their own. 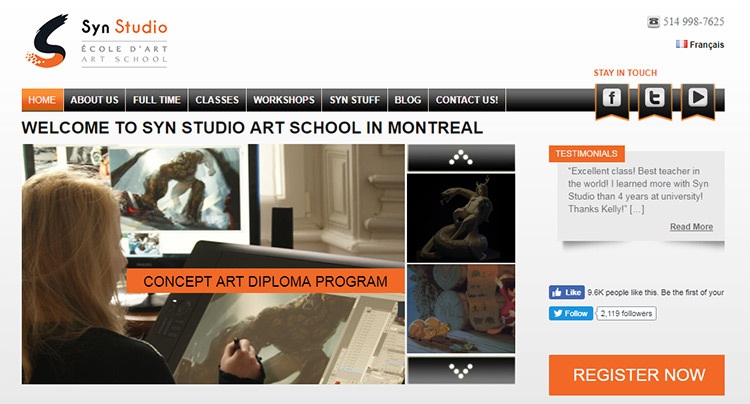 Syn Studio is a newer school located in downtown Montreal which is a famous hub for art and game studios. The school organizes events such as student art shows and portfolio reviews which help students get their art in front of the public and people in the industry looking for new hires. Students begin with studies in concept sketching, anatomy, and visual communications, then move into more specific instructions related to specialties in concept art. These include creature design, character design, environmental design, props, vehicles, and how to develop creative skills to craft any of these subjects for a real project. Syn Studio’s program finishes with a course specifically geared towards helping students succeed in the industry. Also this includes one-on-one coaching with industry professionals along with professional studio tours, demos from famous concept artists, and access to industry parties. It’s a fantastic school for developing art skills and getting your name out there. Syn Studio prides itself on its friendly atmosphere, cozy art studio feel, and an environment where students are free to explore and grow as artists. Yet there’s also a clear learning structure that helps students understand deadlines and project requirements. Syn Studio demands a high level of commitment but promises a world of positivity, opportunity, and support. Graduates are currently employed at major studios like Warner Brothers, Ubisoft, Cartoon Network, and Gameloft. Accredited? Syn Studio is accredited by The Ministry of Education and Higher Education and Research of Quebec, but credits may not transfer to US schools. Make sure to check with any prospective US schools to see if they’ll accept Syn Studio course credits. CG Spectrum is a completely online school that specializes in personalized education from industry professionals. This is not a brick and mortar school so it’s not exactly a “college” in this sense. But it still deserves a spot on our list because it’s an excellent choice if you want to get into professional concept art and develop your skills for a career, but you aren’t able relocate or attend school full time. The school bases its learning system on exercises and homework from industry mentors. Students can enroll in the courses alone and receive one-on-one attention from their mentor that runs the course, or they can enroll in a group course with others studying online in a classroom setting. Even if students take courses solo they’ll have opportunities to interact with other students, so they get the best of both worlds! However it does cost more for private lessons. CG Spectrum offers diploma programs in VFX, game design, 3D animation & modeling, and concept art. The best part is that each diploma program comes with a prior “intro” course to prepare newbies for more advanced learning. This means you can get started with almost no experience and learn everything you need right from CG Spectrum. Now their structure is a little unusual. The intro courses run for six months which are divided into two periods with a break in between. The diploma programs last ten months and are divided into three periods with breaks in between. So instead of taking a bunch of different classes in different subjects, students take one big course that covers all the necessary elements on a week-by-week schedule. For both intro courses and diploma programs, assignments are given on a weekly basis and critiqued. Each week students log into the learning dashboard to watch pre-recorded lectures and get the assignments for that week. Students can do this on their own time which makes CG Spectrum a viable option for artists who already work a full-time job and cannot commit all day to studying. So after each lesson the students complete a first pass of the assignment and submit it to their mentor for feedback. After that students do a second pass of the assignment and submit their final draft by the end of the week. They’ll receive a recorded video of the instructor’s critique on that which is very detailed. Most instructor/mentor(same thing) critiques include recorded videos of the instructor fixing the student’s working file. This is huge since you can actually see how a professional would approach each exercise, fix mistakes, and handle such a project in an industry setting. This way, students get a firsthand look at a professional workflow and thought process. This pattern of submitting drafts and receiving critiques mimics the structure of most industry projects too. Although these courses aren’t fully self-paced, the lectures and projects can be accessed from anywhere with an Internet connection and they can be completed on your own time. As long as you’re meeting deadlines for assignments you’re good. This makes the classes easy to fit around a hectic work schedule. We wrote a very detailed review of CG Spectrum’s concept art diploma course if you wanna check that out. You can see previews of the exercises and how the learning process works. Large studios specifically look to CG Spectrum for new applicants to fill their junior positions. Alumni are employed at studios like Dreamworks, Sony Animation, Ubisoft, and Riot Games. And it should be mentioned that every single mentor that teaches for CG Spectrum has industry experience. Every single one. Mentors have worked on big name projects like James Cameron’s Avatar, Guardians of the Galaxy, Frozen, Mad Max: Fury Road, The Incredibles, and the Harry Potter movies. Payment plans are available for all courses so you can pay upfront or on a monthly schedule.